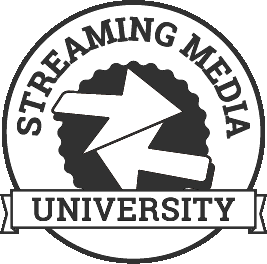 The Streaming Media East 2019 Discovery Pass is a perfect way to discover more about the streaming video industry and what Streaming Media conferences are all about. For just $295 (when purchased by April 5) Discovery Pass attendees get access to two full days of Discovery Track conference programming, keynotes, and networking opportunities PLUS entry to the Streaming Media East Expo. Open to ALL conference attendees and Discovery Pass holders, Discovery Track sessions are moderated by Streaming Media magazine editors and presented by conference sponsors. These sessions offer an opportunity to learn more about cutting-edge technologies and solutions to vexing challenges at every step in the streaming media ecosystem. Each year, the Streaming Media East conference features keynotes from the leading companies in the industry like, Google, Twitter, Yahoo!, Adap.TV, TV Guide, Roku, Comcast, and Playstation. Go to our Conference Video page to check out last year's keynotes. Discovery Pass holders get full-access to mix and mingle with other conference attendees, speakers, and vendors at networking events including the daily breaks in the expo and the networking happy hour on Tuesday, May 7th from 5:00 p.m. to 6:00 p.m. The Streaming Media East Expo offers attendees a firsthand look at the leading software, hardware, and network solutions and services in the streaming media industry. Discover products and solutions for every step in the online video workflow, from content creation to delivery and distribution. Expo hours are Tuesday, May 7th from 8:00 a.m. to 6:00 p.m. and Wednesday, May 8th from 8:00 a.m. to 4:00 p.m.